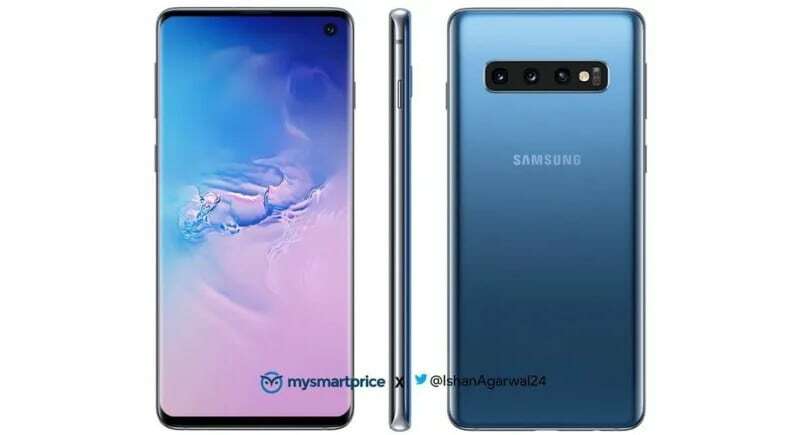 We are just over a week away from Samsung’s Galaxy Unpacked 2019 event, where the company is going to announce the new Galaxy S10 family for smartphones, and the last-minute leaks about the phones have revealed some new bits of information and seemingly confirmed a few old ones. 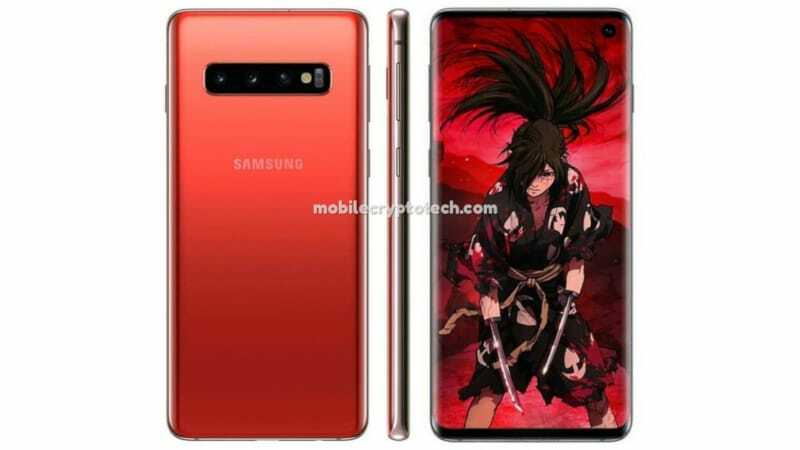 Over the past 24 hours, an alleged banner showing Samsung Galaxy S10+, renders claim to be showing Galaxy S10 in Cinnabar Red and Blue, and a purported retailer listing for Ceramic Black Galaxy S10 have popped up online. Starting with the alleged banner for the Samsung Galaxy S10+, which was shared by known tipster Evan Blass (aka @evleaks) on Twitter, the banner seems to confirm the design of the Galaxy S10+ that we have seen in multiple leaked renders until now. Also, one can spot the 3.5mm audio jack in the photo, meaning Samsung isn’t ready just yet to ditch the audio jack like other major Android manufacturers. You can also see the punch-hole design with space for a front dual-camera setup. Lastly, it seems a Vietnamese retailer has jumped the gun and published a listing for the Galaxy S10 Ceramic variant. The retailer FTP Shop’s listing shows 8GB RAM + 512GB internal storage version of the Galaxy S10 with a price tag of VND 30,990,000 (roughly Rs. 94,400). There is no way to verify the authenticity of the listing and it could very well turn out to be a placeholder or fake, so take this with a pinch of salt. The listing was first spotted by SamMobile.